Paros acts as the main transportation hub for the Cyclades islands - many ferries stop in Paros ferry port on their way to other islands making the island an ideal base. Blue Star Ferries, Hellenic Seaways, Seajet and Golden Star Ferries are some of the ferry companies that operate out of Paros and below you can find all the Paros ferry timetables, journey times as well as our best and latest prices. Blue Star Ferries is one of the largest ferry companies serving Greece. From Paros, Blue Star Ferries go to some of the most important Greek Islands including Amorgos, Ios, Kos, Naxos, Nisyros, Rhodes, Santorini and many more. 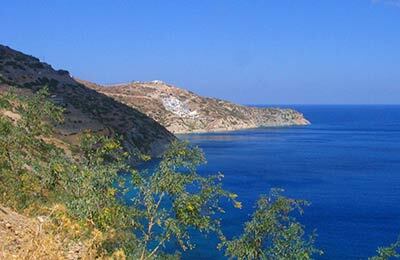 They also go to the port of Piraeus which serves Athens. Blue Star Ferries' modern air-conditioned ships offer a full range of on board facilities. Facilities include internet access, a wide range of seating options and cabins, full service restaurants and shops. Many Blue Star Ferries now also feature Goody's fast food restaurants providing quick meals and snacks perfect for kids and adults alike. 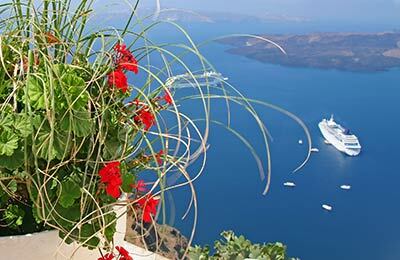 So, book your ferry for Athens and the Greek islands from the Cyclades' main transport hub simply and securely with AFerry. Paros is one of the largest islands in the Cyclades group of islands and its central location means that it is a great transport hub from which to travel to the other islands in the group. All ferries from Paros can be booked online through AFerry. The port has a complete range of facilities and services. The island is relatively small and the port is easy to find from wherever you are on the island - just follow the clear signposts.